Welcome to Hubbard Products Ltd. The home of Transport and Commercial Refrigeration. 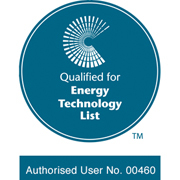 Hubbard Products’ units are 2014 EU F-Gas Regulation (517/2014) compliant and manufactured in line with legislation regarding the use of HFCs in commercial equipment. Accordingly, HFC refrigerant phase down does not apply to Commercial and Transport refrigeration listed on this website. January 2015.